Cheng Hong Medical Centre, we provide Free Traditional Chinese Medical Services to residents and needy patients in the heartlands. Cheng Hong Siang Tng TCM Clinic, we provide Free Traditional Chinese Medical Services to residents and needy patients in the heartlands. 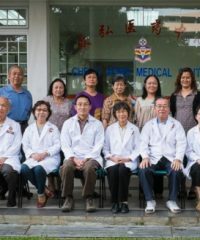 Chinatown Cheng Hong TCM Clinic, we provide Free Traditional Chinese Medical Services to residents and needy patients in the heartlands. Loving Heart Cheng Hong TCM Clinic, we provide Free Traditional Chinese Medical Services to residents and needy patients in the heartlands.